Planted in 1998, our premium Estate vineyard is named for Sherman's daughter Carly and is located just east of the Salinas River. 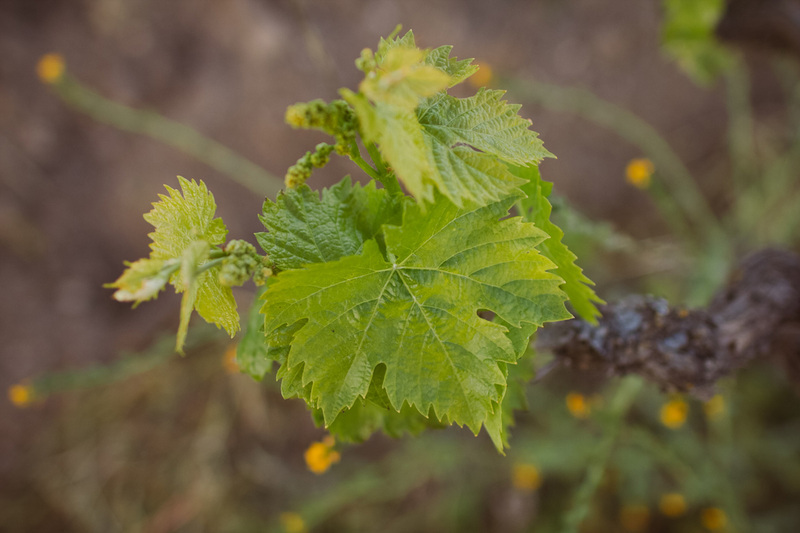 It is planted in the noble Sangiovese and Cabernet Sauvignon varietals and is one of the few dry-farmed, head trained Sangiovese vineyards in California. Bella Luna's ten acre Estate has some very unique attributes. Influenced by the cool breezes coming from the famous Templeton Gap and pouring out into the river bottom, we have the advantage of receiving the cool moist evening breezes. Our terrior structure is unique, the Estate has four different types of soil - First, the "Rock Pile" comprised of alluvial river bottom which gives us our most intense fruit; Second, clay loam. This is where the moisture stays the longest yielding our largest crop; Next, sandy loam. The experts say this is some of the best type of soil for grapes. It's up on the east hill. Our Cabernet seems to love it up there; Lastly, we have just plain loamy soil. It's down in the bottom so Cabernets do good there because of late frost potential. Our vineyard is farmed using sustainable practices and the only water the vines get come from "mother nature". We're proud to have one of the few dry-farmed, head trained Sangiovese vineyards in California. The Sangiovese and Cabernet vines are head trained which means we have no trellises.